Throughout Greater Northern, GA, Carpet Dye-Tech has been providing a number of services to our commercial and residential customers since 2008. We are fully licensed and insured to apply our high moral standards, friendly customer service, and top quality services. Carpet Dye-Tech takes advantage of exclusive professional grade equipment, tools, and products. Our highly trained and experienced technicians perform premium results four valued customers. Included on our menu board is carpet dyeing for your boat, RV, automobiles and exotic cars. In the world of RVs, boats, exotic cars, and other similar places, the carpets and upholstery installed by the manufacturer are generally light colored or even white. This is to give the effect that the RV, boat, automobile, etc. is bigger and more spacious. 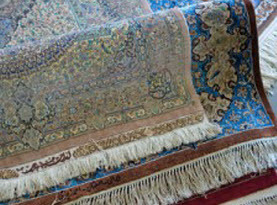 But because of the limited space, and the average function the vehicle or boat services, the carpets are near impossible to keep clean. Replacing the carpet when the time comes is more pricey than what you may suppose with the cost of labor and willingness to work in a contained space. On average, RVs for example, are equipped with less than 100 sq. ft. of carpet. 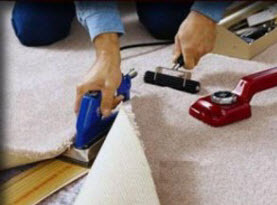 But if you opt to replace carpet in a RV, sliders have to be removed, carpet needs to be cut and placed, and it needs to be bound around exposed edges. The whole process may take weeks to complete and can cost thousands! Instead you should consider dyeing the stains out for a fraction of the cost. 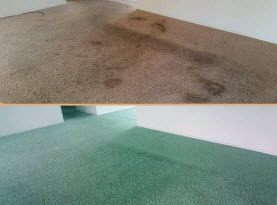 In Carpet Dye-Tech instances, the carpet looks like new in just a few hours. Our dyeing technique process leaves a vibrant color evening out the tone across the entire carpet. 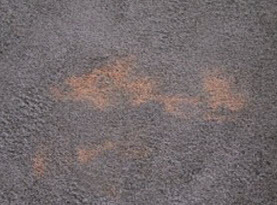 The carpet will also begin to show vacuum tracks again, the lack of which typically shows carpets age. Dyes will set and dry in minutes and the RV will be ready to use same day! Carpets in RVs, automobiles, and boats are not the only thing that can be saved with carpet dying, but consider the upholstery too! 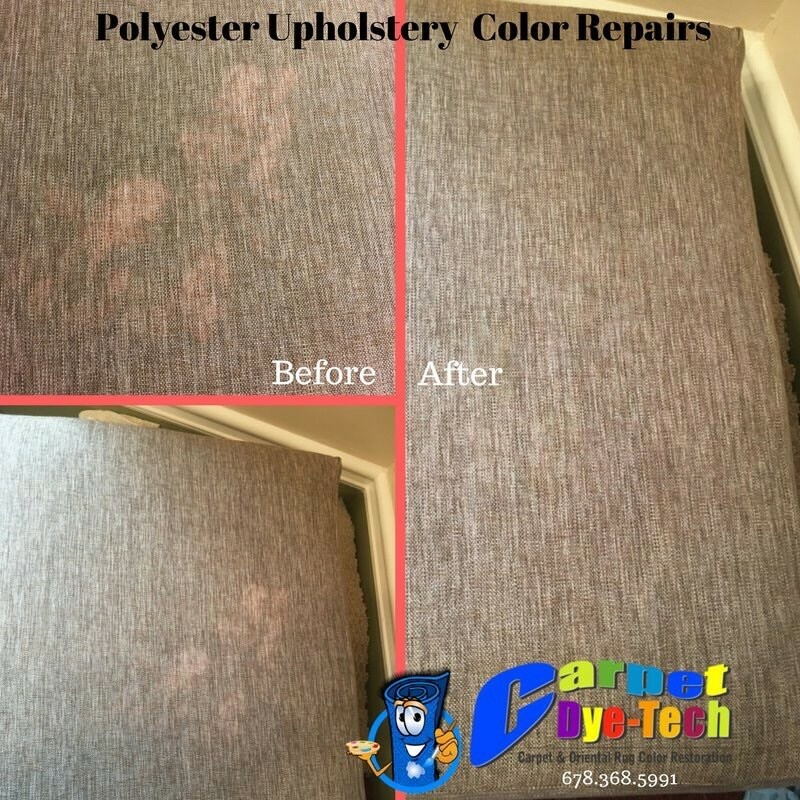 Carpet Dye-Tech servicing the Greater Atlanta, GA area can treat the upholstery as well. With the boat, automobile, and RV carpets getting revitalized and their use extended, the same can be said for upholstery through the dyeing process. In a similar process to the carpet, the color can be changed or enhanced in the RV, boat, exotic car, and so forth to the upholstery and be dyed to cover wear, along with providing an updated trend in décor, or simply because you desire change in color. 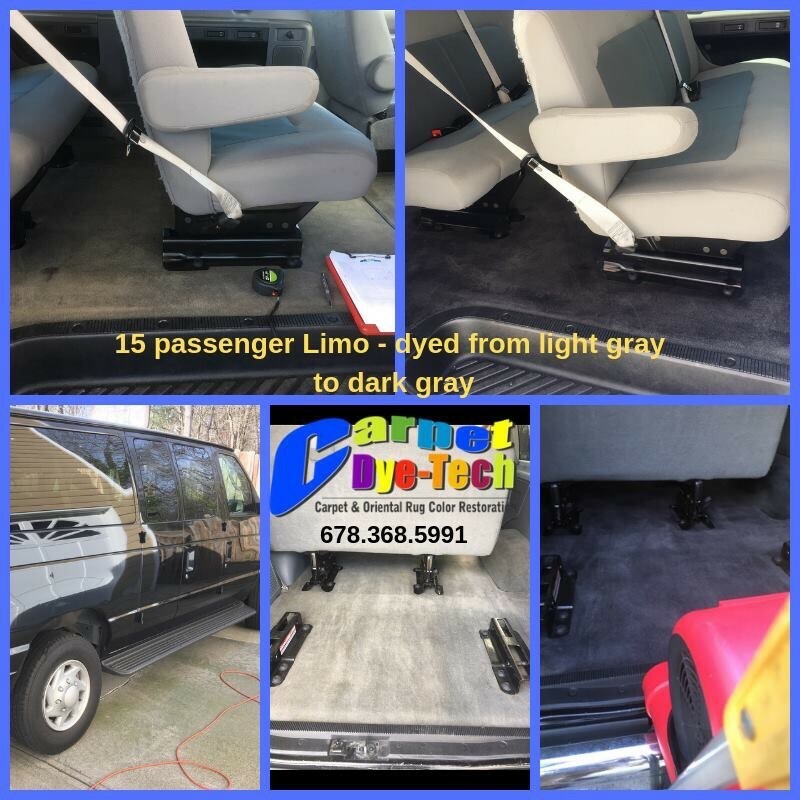 The color on carpets and upholstery to your Greater Northern, GA RV, boat, automobile, or exotic car can remain the same color but brightened and void of stains, or changed completely to establish a change in scenery. With Carpet Dye-Tech, choosing the dyeing alternative can save you more money than replacing the carpets. If you need the upholstery or carpets dyed in your RV, boat, automobile or exotic car, contact Carpet Dye-Tech today!